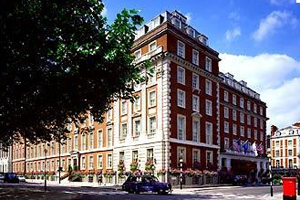 The London Marriott Grosvenor Square is celebrating its 25th anniversary this year with the appointment of three executive staff. John Hazard has taken on the role of general manager, while Georgina Evagora is the new director of sales & marketing and Moira Azzopardi is the new director of revenue strategy. Hazard was previously general manager of the Bristol Royal Marriott and has worked with other hotel brands including Comfort Inn, Choice Hotels and Premier Lodge. Evagora has worked at Emirates Airlines, JW Marriott Dubai, and Marriott Marble Arch, as well as being part of the opening teams for Renaissance Chancery Court and Marriott Executive Apartments, Dubai. Azzorpadi started her career in the US and joined the London Marriott Marble Arch in 2000 before moving to the London Marriott Grosvenor Square in 2007 as an inventory manager. She has also worked for Hilton hotels. Hazard said: "I’m delighted to have been given the opportunity to join one of London’s leading hotel’s as the new general manager. I hope that the hotel will benefit from my previous experience and I look forward to working alongside both Georgina and Moira during my time here."